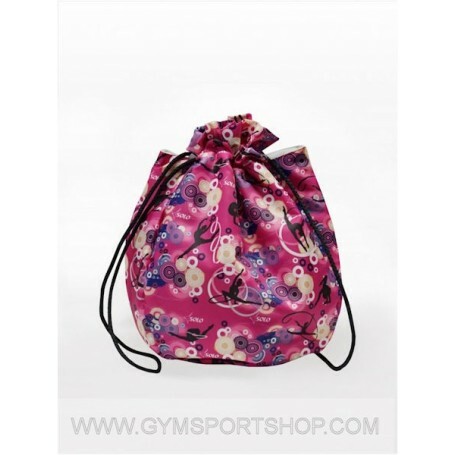 Bag for the gym ball. Interior - soft velvet lining that protects the ball from damage and temperature changes. Inside there is a label for the owner's name and contact information in case of loss. Color: pink background with "Farfalle" pattern.